How about this for a rough concept? "Top finisher gets to call the following week's challenge...sweet"
How do mods actually contact you, or what have you. I needed a break on my game so made this quick little thing. I was going to go for a greenish colour, but my twin said it would look cool with the pink. Kinda reminds me of flash punk colours. Hey, this looks like a game that actually could work. I'd play with the colours, perhaps change the white to red. The colour red already plays well with santas red theme and rooftops tiles are generally brown-ish colours(where I live at least)so red would make sense. I'd make the blue darker to really make the red really stand out or if you keep the white that would stand out more to. Also try thinking of this image as 3 dimensional, make use of dither and other techniques to convey shapes with shodows etc. I'm a beginner at pixel art, so can you do title screens or does that not count as a mockup? <FONT style=": #eeeeee">I'm a beginner at pixel art, so can you do title screens or does that not count as a mockup? title screen is the part of a game, not the game itself. How does that answer his question? Any part of the game we're gonna pixel will be part of a game, and not the game itself. The challenge isn't to create a game. I don't have a definitive answer, but I assume it's fine, just have something that makes it obviously a title screen and not a logo, like START with a flashing triangle or something. @CPearson: Title screen is NOT part of the game. Let me give you a exemple ok? Lets say you go to a website's home and in the menu is a browser game... The menu and the homepage are not part of the game, they are just a guide to the game. philippejugnet, well thats debatable. What separates your example from a game is that the title screen is programmed with the game in mind, where as a website represents the path to the game. A game designer would also argue that the title screens holds as much importance as the gameplay as it can be used to portray certain aspects of the game. For one the name of the game, perhaps the main playable character(s), as well as options to enhance the performance of the game and many other features. But in terms of the competition thats for administrators to decide upon. Create a mockup of an original two colour game. I have a question too. Are we allowed to have multiple mockups in one challenge submission i.e. The title screen, two or three screens of gameplay, a game over screen, menu navigation screens, level select screen. The competition is not about game title screen it is about the game itself. I think the title screen is a mixture of a hook to the game and a game menu. That analogy is rather poor, but this isn't really something worth arguing about. However, consider this, you have a SNES cartridge, you put it in your SNES, you get a few screens about copyright and stuff, which is present in all games, then you get a title screen which is exclusive to the game, it's interactive, with options such as: new game, continue game etc. etc. I can't see how you decide that this isn't part of a game. >The competition is not about game title screen it is about the game itself. I think the title screen is a mixture of a hook to the game and a game menu. There is no meaningful distinction between a game menu and a game level when it comes to being a game or not. If I load up basically any game, the first thing that happens, is that a title screen loads. a mockup just shows some part of a proposed game, a title screen is as valid as anything else, in my opinion at least. I think it's nonsensical to deny an entry on those grounds, but I suppose it's up to the admins, as previously stated. That analogy is rather poor, but this isn't really something worth arguing about.However, consider this, you have a SNEScartridge, you put it in your SNES, you get a few screens about copyright and stuff, which is present in all games, then you get a title screen which is exclusive to the game, it's interactive, with options such as: new game, continue game etc. etc. For example, here's the title screen from super mario world:http://www.youtube.com/watch?v=_C6b7IUiHh4I can't see how you decide that this isn't part of a game. it is part of the concept of the game... but the competition is about the game not to create a title screen for the game... 2 completely different things ( on competition ). For exemple: if they announce a competition to create title screen for a game, you would not do the game screen itself right? as here they are posting a competition for PJointers to create a game screen, you would not create a title screen. A title screen is part of the game, you seem to have the notion that they are mutually exclusive, but I can see no reason why this should logically be so. The challenge does not say "Create a level screen", it doesn't say "don't create a title screen". A title screen is part of a game, it depicts the theme of the game, and is as important as anything else, seeing as it;s the first thing people see, it's as simple as that. Edit: Can anyone fill me in about the thing I asked in my first post in this thread, seeing as my piece won the Collosal Cave Anniversary Challenge, and I'm not sure how the challenge theme suggestion is made (sorry again for offtopic). Ok so let him loose his time doing something that is not going to be valid... I lost more time here then I used my time to do my pic... There is nothing to be decided by the admins. JUST READ THIS OK? IF THE COMPETITION WAS ABOUT CREATING A TITLE SCREEN YOU WOULD NOT DESIGN A GAME LEVEL RIGHT? AS THE COMPETITION IS TO DESIGN A GAME YOU WILL NOT DESIGN A TITLE SCREEN, OR THE WEBSITE DESIGN, OR THE DOWNLOAD ICON ( THEY ARE ALL PART OF THE GAME ). CPearson, Have a word with Jeremy or any other admin and I'm sure they'll be more than eager to sort a future challenge for you. I don't think you understand my arguments, and you're being rather uncivil with all the capslock and stuff. A title screen is a valid subject for a mockup, now unless tons of people on this site disagree with me, I have absolutely no reason to think it isn't. 1)A mockup is a demonstration. 2)A game mockup is a demonstration of some part of a game. 3) A title screen is part of a game. Conclusion: A title screen is a valid entry. It's a simple syllogism, I see no fault with it. A download button is not part of a game, nor is a website. When you load the software for the game, whatever is in there is a valid subject for a mock up. Perhaps I'm an idiot, but your argument isn't convincing me at all. Edit: Thanks Jim, just didn't know how to go about it, my gratitude. "A title screen is the initial screen of a computer, video, or arcade game after the credits and logos are displayed of the game developer and game publisher. Earlier title screens often included all the game options available (single player, multiplayer, configuration of controls, etc.) 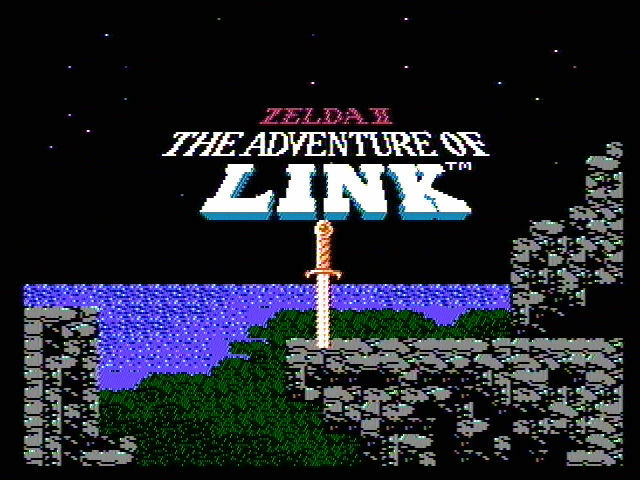 while modern games have opted for the title screen to serve as a splash page. The reason for this can be attributed to the use of the title screen as a loading screen, in which to cache all the graphical elements of the main menu. Older computer and video games had relatively simple menu screens, that often featured pre-rendered artwork. In arcade games, the title screen is shown as part of the attract mode loop, usually after a game demonstration is played. The title screen, as well as the high score list, urges potential players to insert coins. In video games, especially if the screen is not merged with the main menu, the screen urges the player to press start. Similarly, in computer games, the message "Hit any key" is often displayed. With the lack of an actual "Start" button, the Nintendo Wii uses a different prompt, usually pressing the "A" button and the "B" trigger simultaneously, as in Wii Sports or The Legend of Zelda: Twilight Princess. Fan-made games often parody the style of basis of the creation. as the book cover is to attract you, the title screen is also. If I tell you to write a book, you will not do just the cover, and if I tell you to do a cover, you will not write a book. Right? thats what I mean, this is not about if the title screen is part of the game or it not, it is about doing the game ( book ) not title screen ( cover ). And sorry for my eager it is because you are messing things up. I have to agree with CPearson here. To me, a mockup is simply a representation of the game's screen, no matter what is displayed. Now it sure sounds better to represent ingame elements, but as long as there are enough elements FROM THE GAME on the screen, a titlescreen sounds valid to me. Admins, feel free to correct me and CPearson. All artists have different visions anyway, and I wouldn't feel ashamed to be wrong. I don't think that's what they wan't,do you? I'm getting sick of this, every post has a logical fallacy, just forget it. I say let the guy do it, if the admins say it's not valid (They almost certainly wont) Then so be it, I'm still willing to give him constructive criticism on whatever he posts in this thread. Considering that list includes the words "game logo" and "pre rendered art work", yes, I absolutely do think so. philippejugnet, We both get what your getting to. We've both chosen to disagree with you while listing to your opinion. Nobody is saying your wrong or that we are right. My suggestion is to agree to disagree and allow administrators to make a sensible edit to the rules to justify as what could be a vague challenge description. No harm done and we all will know what is allowed and whats not shortly. I know you understood, but I think CPearson is using lol argments like :"As a further clarification, the challenge is not analogous to writing a book" Have you ever heard of figures of speech? "The challenge does not say "Create a level screen", it doesn't say "don't create a title screen"." But sure it says create a game, and it does not say create a title screen. Cpearsons arguments are logical to me and his figures of speech, grammar and vocabulary don't matter and are a lot better than yours. But thats beside the point, your being rude now. The challenge rules do not dictate any of what you say. If there are people who want to show their creativity by showing their own interpretations of the rules, then who are you to say its wrong. That alone falls to administration, and if you continue to feed a fire I will report you. Hey guys I decided to make a sort a Space Invaders clone. What are the oblong shapes in the bottom left and right? Ho hum. Still plenty left to do, but I've got a whole week to perfect it. Anyone care to help me with a running animation for my guy? I did a little something, I'll try to finish it soon, please tell me what I should improve. Maybe give it a background, but it's your decision, it looks cool anyway! I was thinking on a animation, what do you think? Looks nice man, what about adding some dithering? philippejugnet did not invent Minecraft for this challenge. I might make the tiles on the roof bigger so I can shade them - what do you think?